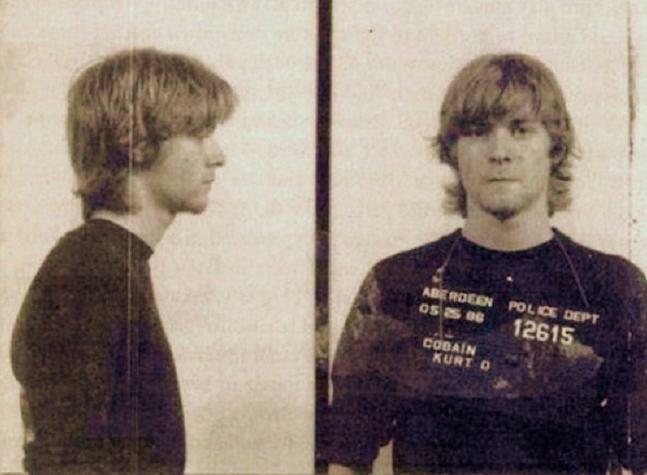 Kurt Cobain was arrested by Aberdeen Police Department in Washington on May 18, 1986. 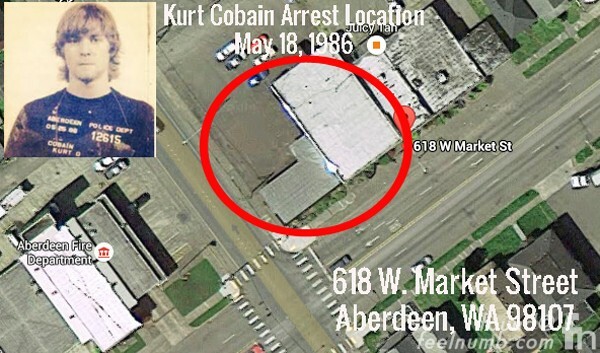 Cobain was booked for trespassing after he was found on the roof of an abandoned building at 618 W. Market Street, Aberdeen Washington. He was caught, according to the paper, after he “wandered onto the roof” of the building that now houses Juicy Tan and Westside Communications. 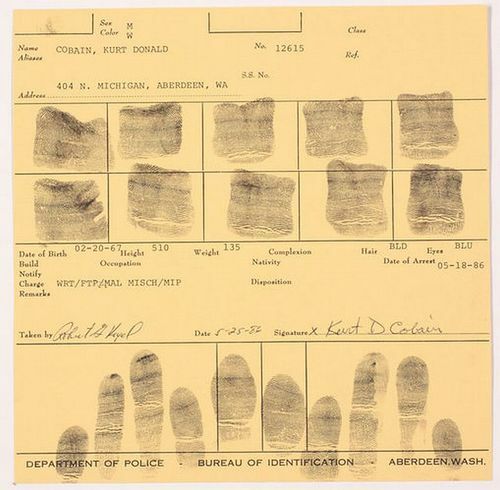 This misdemeanor was not the first time Kurt had been arrested, as he was arrested in Aberdeen a year earlier on a vandalism count. 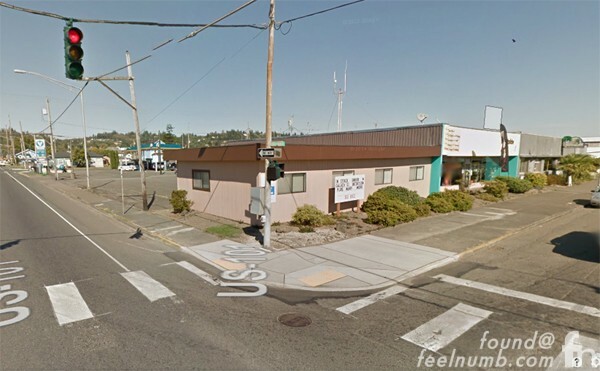 Kurt claimed he wrote “God is gay” on the side of a local Seafirst Bank Building (now Bank of America) in Aberdeen, Washington. However, Aberdeen police records show that the phrase for which he was arrested was actually “Ain’t got no how watchamacallit”. We need to find that mugshot as well. What he wrote on the wall are lyrics to a Nirvana song. Tourettes "Ain’t got no how watchamacallit"
Kurt was arrested twice. Once for the spray painting, and once for wandering onto the roof intoxicated.